The third generation Auris made its debut at this 2018 Geneva Motor Show with some real stand out features! The Auris marks the start of Toyota’s dual hybrid strategy following Toyota’s decision to strengthen and improve their already industry leading hybrid technology. 20 years of Hybrid leadership and more than 1.5 million hybrid vehicles in Europe are two figures that have prompted Toyota to offer all their main models with a choice of two hybrid electric powertrains. The first of these two engines provides the classic benefits of efficiency and relaxing drive and the second builds on this with a focus on powerful performance! 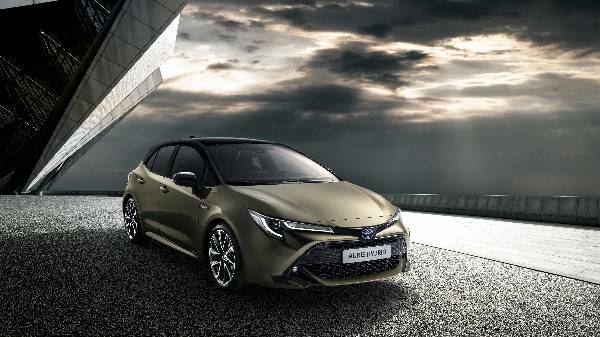 The new Auris will be built in the UK based factory at Burnaston following the £240 million investment to prepare the plant for a more Toyota New Global Architecture (TNGA) manufacturing. The new Auris will be one of the first to benefit from a Hybrid drive with a choice of hybrid electric powertrains! This Auris is longer and lower than the models before with a more dynamic and striking style. Sleeker and more attractive than ever before, the design is all about aerodynamics, aesthetics and maximising the driving position for a clear forward view. The new styling of the Auris is further evolution of Toyota’s design ideals. Featuring the curved clamshell bonnet, narrow upper grille, new LED headlights and cleverly integrated daytime running lights. To the rear of the Auris the all LED lamp clusters feature light guides which emphasise the new low and wide stance of the car whilst continuing to reflect the super modern design. Toyota are set to bring back their most celebrated sportscar. The GR Supra Racing Concept debuted at the Geneva Motor Show to showcase the future potential of a car that not only delivers high performance on the race track but on the road too! 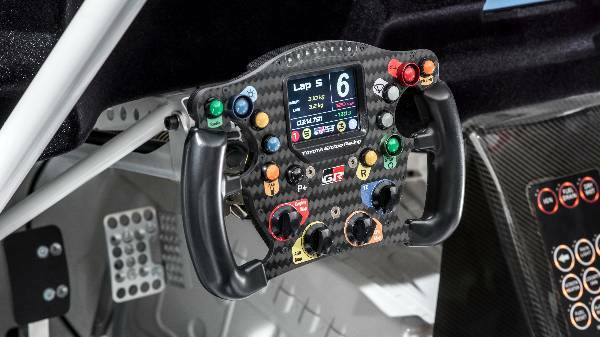 In the past the Supra has gained the reputation of a world-class car and formidable contender on the racetrack, so much so that 16 years on from the end of its production it is still celebrated and even features as a popular model in driving simulator game like Gran Turismo! The Supra has always been celebrated as a pioneer in motorsport! 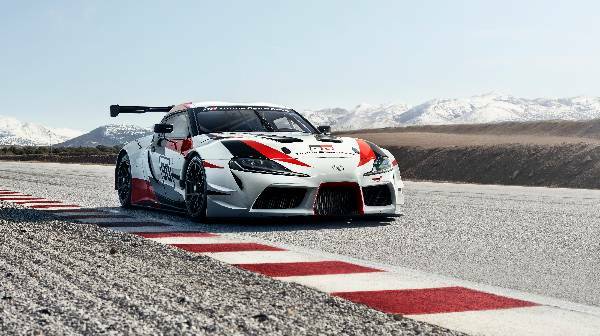 The Supra Concept has been created by Toyota Gazoo Racing and embodies all of Toyota’s dedication to make cars not only better than ever but also really fun to drive! The large “90” on the cars door is a direct reference to Supra’s codename and a huge clue that this concept is Supra’s return! 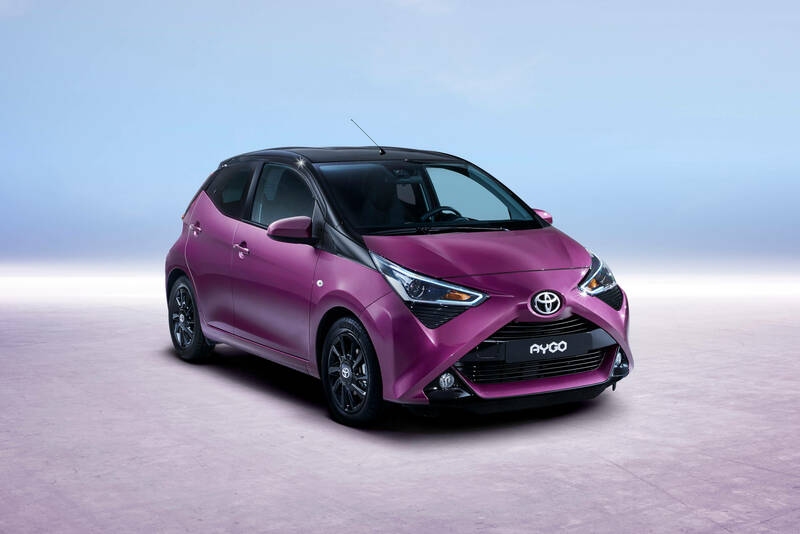 The new Aygo debuted at the Geneva Motor Show and demonstrated Toyota’s new standout design with distinctive and improved performance. The new Aygo is a true contender in a very competitive segment! In Europe, the Aygo is one of the top-sellers in the A-segment! With a new more modern design, you’ll soon notice that the recognisable ‘X’ of the front grille is now a more integral and standout 3D graphic which frames the LED daytime running lights giving it an even more striking appearance! Gloss black, black or silver ornamentation accentuates the cars dynamic design. New colours and wheel designs are amongst a whole catalogue of elements that enhance the modern styling of the latest addition. Where driving is concerned the new Aygo is there to impress! With improved performance and driving dynamics paired with a class-leading fuel efficiency. 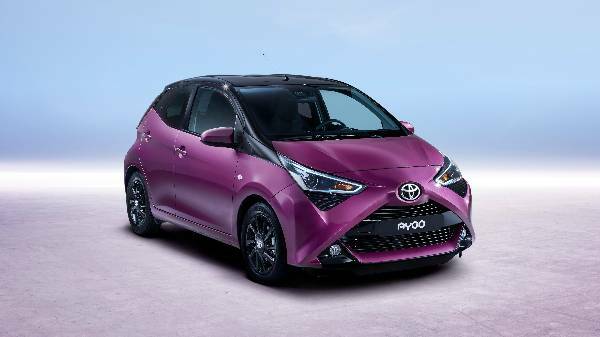 The improvements to the engine are supported by new and improved suspension and steering, making the Aygo swift and precise! This is technology from Toyota that understands the driver! Using Artificial Intelligence (AI) the car becomes your partner with whom you can learn and develop together. This perfect partnership is an important part of their vision for future mobility and was revealed for the first time in early 2018. 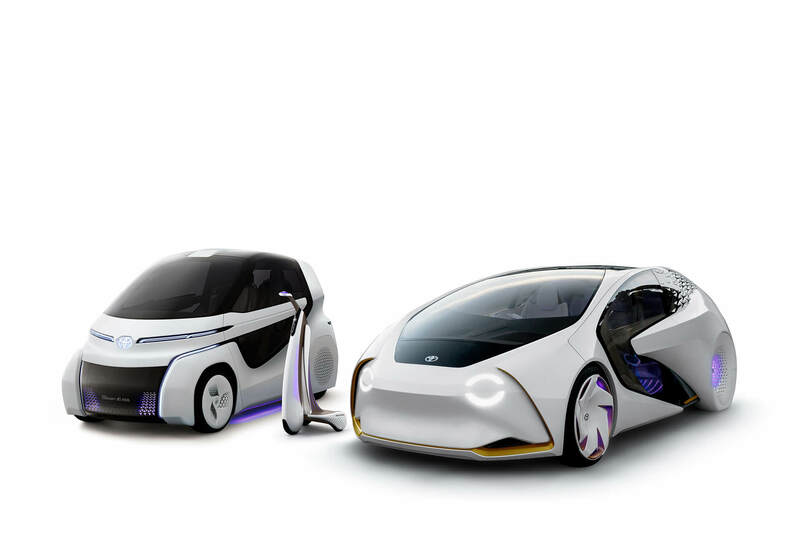 It was displayed in the form of three Toyota Concept-i models, all designed to meet a variety of different transport needs. The core technology across this range applies AI so the vehicle understands their user and their preferences. This works in conjunction with an advanced automated driving system to provide a safe driving experience. One of the stand out features of this concept is the installation of technology which anticipates the drivers feelings! 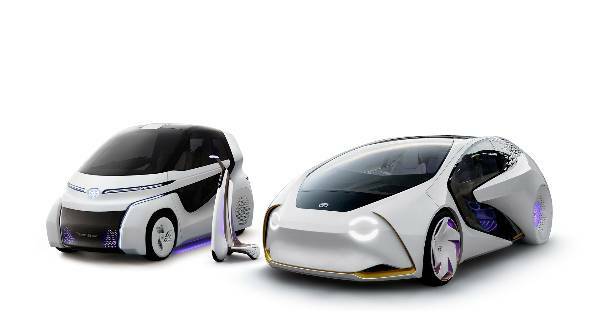 The TOYOTA FINE - Comfort Ride is a fuel cell electric vehicle (FCEV). This “new form of premium saloon” is set to make advanced use of hydrogen and renewable energy, all a part of the low-carbon society Toyota is aiming for in the future. Offering excellent environmental performance with reduced CO2, amazing range and extremely quick refuelling! The design has been carefully done to offer greater space and comfort within the cabin, tackling the past restrictions of electric vehicles. For example, the the car is equipped with in-wheel motors rather than a single motor under the bonnet.